We watched a couple of small planes take off this morning before getting out of bed since we were pretty much alongside the runway. After reluctantly making our ferry reservations (more on this later) from MacDonald’s WiFi, we made our way out Cape St. George. 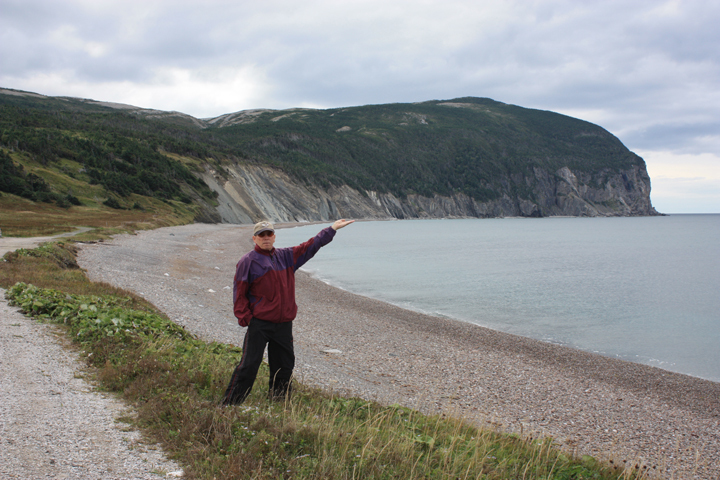 This will be our last (of many) peninsula tours here in Newfoundland. The scenery here is endless. 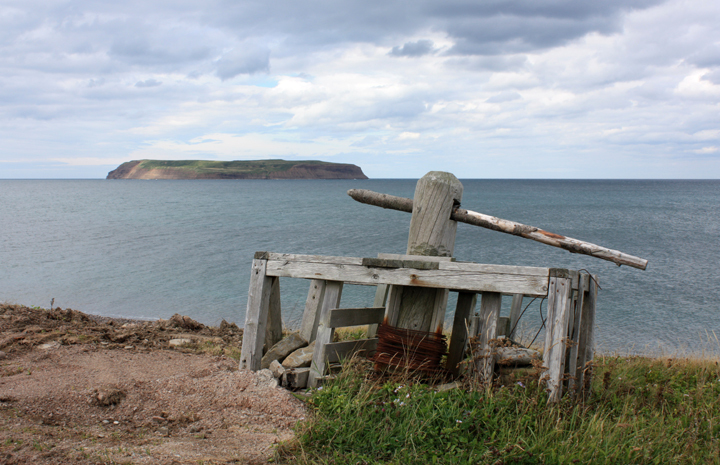 This drive provided more beautiful coastal views with sheer cliffs, coves, beaches, islands, causeways and more. 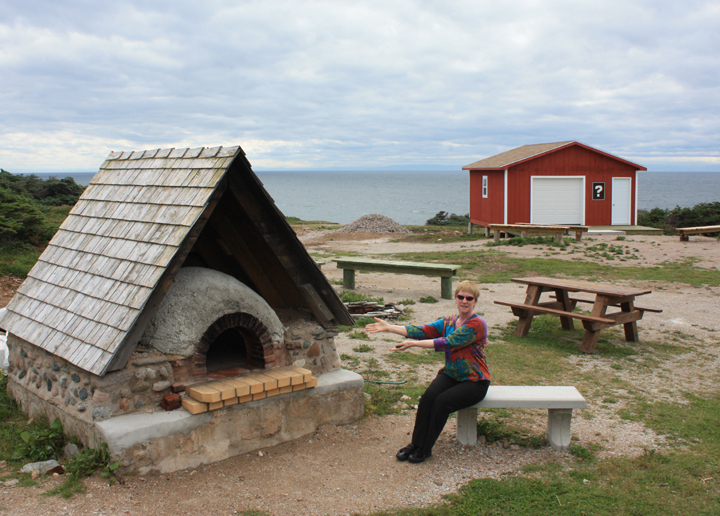 This area is one of the last French strongholds in Newfoundland and at the very point we came upon a ceremonial brick bread oven, but nobody was about to bake for us. What we did find of interest though was a beautiful monument explaining the 18th century deportation and migration of the Acadian people from what is now Nova Scotia to Newfoundland, Louisiana and other locales around the world. This peninsula is a bit unique in that it provided a loop return rather than the usual need to return directly on the same road. After the tip the road rose higher to a barren moon-like landscape before descending once again to the sea. The vast expanses here continue to amaze us. I can’t even imagine how many thousands of times the word “wow” has been uttered by me or Al over the past 5 weeks. Our afternoon concluded at Barachois Pond Provincial Park. 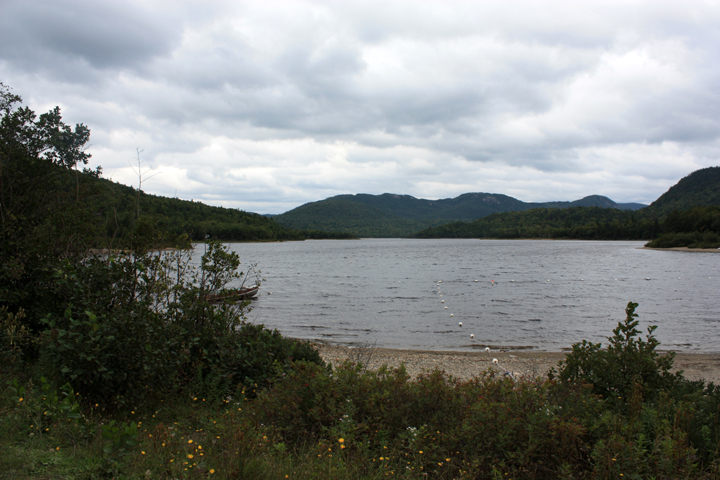 This beautiful campground winds along the shores of a large pond below majestic peaks. Only about a dozen of the 150 sites seem to be occupied, so it is extremely quiet. We took a bit of a hike, but with rain threatening we decided to hang out at camp enjoying the tranquility. We are keeping an eye on the weather forecast as there is a notoriously windy pass we have to drive to get down to where the ferry departs in Port aux Basque. Today it blew up to 120 kph there. Similar conditions caused this afternoon’s ferry crossing to be cancelled. It looks like the wind will shift tomorrow afternoon, so we may head out then or wait until Saturday morning. We are also a bit concerned about the remnants of Hurricane Leslie, which could affect this area by Tuesday. Keeping our fingers crossed that Sunday will provide the weather window we anticipate.